A health trust that can trace its roots back nearly 150 years is to close with the loss of 280 jobs. 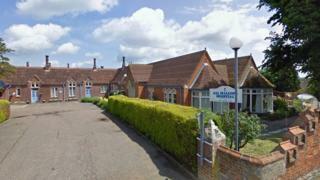 All Hallows Healthcare Trust said financial difficulties were behind the decision made "with enormous sadness". The private trust cares for more than 250 people every day from its sites in Lowestoft in Suffolk and Ditchingham in Norfolk. A spokeswoman said trustees "accept it is now impossible to balance income and costs on an ongoing basis". "We cannot see a way to remain open as reserves are running out," she added. All Hallows runs a 30-bed hospital, a 50-bed nursing home, at-home care services and daycare at the hospital. Its history dates to 1872, when Lavinia Crosse - known as Mother Lavinia - set up a hospital in a cottage in Ditchingham. Chief executive Andy Evans said a 45-day staff consultation would begin and ensuring continuing care for patients and residents was "of paramount importance". "We are engaging in detailed planning with their commissioners of care to identify and arrange alternative care and ensure any disruption to them is kept to a minimum," he added. The bodies that commissioned All Hallows to deliver care said they were looking at the possibility of another company taking over services and buildings. The groups include Norfolk and Suffolk county councils, and clinical commissioning groups for South Norfolk and Great Yarmouth and Waveney. In the trust's most recent accounts it said it wanted to build a cash buffer equivalent to six months' expenditure to mitigate any future loss of contracts. However, by the end of March 2018 it had reserves of £827,000, down from £1.43m a year earlier - enough to cover just two months' spending. It said "austerity cuts, capped funding, lost contracts and the need for retendering" meant it was unlikely to build the reserves up soon.